· Indian Sugar Mills Association (ISMA), in its Committee meeting held on 25th January 2017, reviewed the situation of sugar production for the sugar season 2016-17 SS. As per practice, ISMA procured satellite images of area harvested for crushing upto 10th January, 2017, and the area under sugarcane which is yet to be harvested in the remaining period of the season. · The factors like yield per hectare, drawal of cane by sugar mills, sugar recovery and water availability in reservoirs have been duly considered while making the revised analysis for the second advance estimates. · Considering that some sugar mills have closed their operations in the drought affected areas mostly in Maharashtra and Karnataka and field reports that sugarcane availability in these two States is lower than earlier expectations, as well as reports of lower yields per ha. of sugarcane and slightly lower sugar recoveries in parts of Maharashtra and Karnataka, ISMA decided to revise its estimates of sugar production for 2016-17 SS. The unharvested acreage under sugarcane based on satellite images, and based on the above mentioned factors, ISMA has revised its sugar production estimates for 2016-17 SS downwards from 234 lac tons of first advance estimates made in September 2016 to 213 lac tons now. · Sugar production upto 15th January 2017 in the current season is 104.80 lac tons, around 5% lower than what was achieved last year upto 15th January 2016. Now that sugar mills, in the drought affected areas, have started closing down, the difference from last year will be higher as the season progresses. · The largest sugar producing State this year, namely, Uttar Pradesh is however, reporting better sugarcane crush and, therefore, may give marginally higher production as compared to the earlier estimates. The area under high yielding and high sugar recovery variety Co0238 is significantly more than last year because of which the production in U.P. is expected to be higher than last year. · The sugar sales/despatches during October – December 2016, that is, in the first quarter of the current season is significantly lower to that of last year by 5.5 lac tons, i.e. down by 8.5%. In the last sugar season 2015-16, total despatches by the mills were at 248.5 lac tons and as per the field reports, it is certain that current 2016-17 SS will be lower than that of last season. · The sales in January 2017 also seems to be lower as compared to last year, when sugar mills had sold 25 lac tons. Assuming that in the balance 8 months of the current season i.e. from February to September 2017, there is similar sugar sales in comparison to last year and assuming that the sugar sales/despatches are similar to last year, the sugar sales in the current season upto September 2017, will be around 242 lac tons. · The opening stocks of sugar as on 1st October 2016 for the current sugar season, was 77.5 lac tons. These figures have been collected from reports and statements submitted by each sugar mill to the Government, as per physical stocks in their godowns. · Considering 213 lac tons of sugar production as per 2nd advance estimates of ISMA, sugar despatches of 242 lac tons in the whole 2016-17 SS and a high opening balance of 77.5 lac tons for the season, the closing stock of sugar as on 30th September 2017 will be 48.5 lac tons. · 48.5 lac tons of closing balance is equivalent to at least 2½ months of sugar consumption. This year, 37.3 lac tons of sugar was despatched by sugar mills in October – November 2016, whereas 39.8 lac tons was despatched in the previous i.e. 2015-16 SS in October – November 2015. Therefore, the sugar requirement in the 2 months of sugar season is generally expected to be around 37 to 40 lac tons. Since the sugar mills have the freedom to sell sugar as and when produced by them, new season’s sugar is now available in full swing from end of October. · Further, as per field reports, sugarcane sowing reported from Maharashtra and Karnataka is significantly higher as compared to the same period last year. With abundant water availability in the reservoirs as per reports collected from Government’s website of Central Water Commission, it is expected that sugar production in Maharashtra and Karnataka in the next season should be back to normal. Therefore, there will be surplus sugar production as compared to domestic requirement in 2017-18 SS. · In the current sugar season, 2016-17 SS, 28 lac tons of sugar was produced in October – November 2016. There are reasons to believe that the sugar mills will be starting sugar production from end of October 2017 in most parts of the country, including in U.P and Maharashtra. 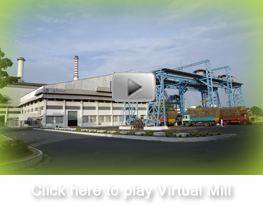 Generally, sugar mills start latest immediately after Diwali, when labour is available for harvesting. Diwali this year is on 19th October. Also because of surplus sugarcane production next season, mills will start early. Therefore, new season’s sugar should be available from the end of October 2017. · Therefore, old sugar equivalent to even 45 to 60 days is more than sufficient to cover the period before the new season’s sugar comes into the market, which as suggested above, would be from the end of October 2017. · Therefore, as per the above estimates and calculations, there is no reason to feel that there is any shortage of sugar in the country or there is need to import any sugar. ISMA is strongly against any speculation and does not believe in unnecessary spike in sugar prices due to such speculative tendencies on the part of few vested interests. ISMA believes that there is enough sugar to meet the domestic requirement and yet leave a healthy balance for the next sugar season, before new sugar from the new season is available in the market from end of Oct, 2017.